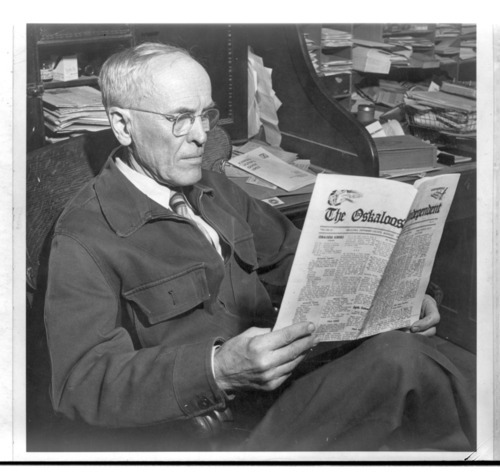 This is a photograph of John Wilkins Roberts reading the Oskaloosa Independent newspaper. The newspaper was established July 11, 1860, by his grandfather, John Wesley Roberts. It was later run by his father Frank. John Wilkins is the third generation of the Roberts family to be editor and publisher of the paper.